Having your own wireless network when you're travelling can be essential, especially if you need to transform a hotel's complimentary wired connection into a wireless one for your tablet or smartphone, and the D-Link DIR-505 SharePort Mobile Companion is a device that can do just that. Like the TP-Link TL-WR702N Wireless N Nano Router, the D-Link DIR-505 is a small, portable device that you can plug into an Ethernet network connection and turn into a wireless router to share your internet connection. It can also work as a wireless repeater, extending the range of your Wi-Fi network, and can act as a wireless hotspot. All these options can be easily selected via a sliding switch at the top of the D-Link DIR-505's body. 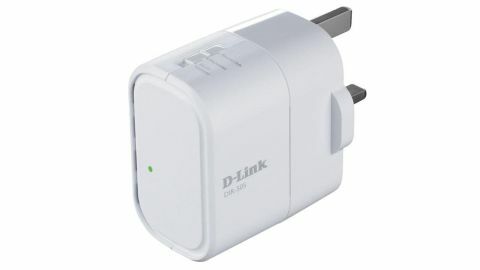 A pretty cool feature of the D-Link DIR-505 is that its power adaptor is built-in, making it easy to carry around. Unfortunately, the design means that the USB port (used for charging your devices) and the Ethernet port are both on the bottom of the body, which can make it awkward to get to if the power socket is too close to the floor. It also means you'll need to carry a USB extension cable to charge up your devices. You can access and share files on any attached USB stick, which is a nice touch, and setting up the router wasn't difficult. The D-Link DIR-505 doesn't offer stellar connection speeds weren't stellar, but they were fast enough and dependable enough to give you decent wireless while out on the road. Although the design presents some niggles, this is handy solution to the connection woes of travelling workers.